Transporting all your belongings from Melbourne to Newcastle can be quite a tedious task. The distance between these two cities is 1027 km and it takes almost 10 and half hours to cross it. 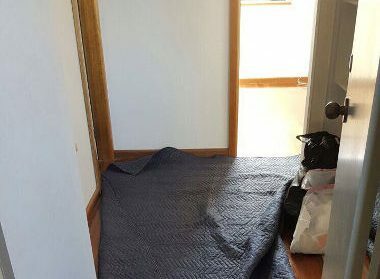 A DIY removal can easily take two days and hiring professional Melbourne to Newcastle Removalists is a better option. We at Fast Removalists, we have a skilled and trained team of removalists who can tackle all kinds of removals easily. A DIY move can be tempting because it seems to be more affordable at first glance. However, that isn’t always the case; novice Melbourne to Newcastle movers can cause a significant amount of damage. They can break delicate items, drop heavy furniture and even leave scuff marks or scratches on walls and doorways while moving large furniture. All these things can cost you money and hiring affordable interstate removalists like us is the better option. You will find that we offer excellent solutions at very cost-effective pricing. When you hire us you get the best of both worlds. 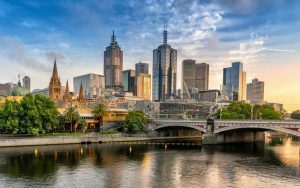 Detailed planning by removalists Melbourne to Newcastle – It doesn’t take long for a move to become messy and unorganized if there isn’t a detailed plan in place. Inexperienced personnel can easily damage or lose the items during the move. We have well-trained experts that understand how important thorough planning is for every move big and small. We take into account aspects like the number of items to be moved, distance to be travelled, road & traffic conditions and more. This helps ensure we are prepared for any eventuality along the way. It also significantly reduces the chances of damage or loss of shipment while the move is in progress. But we are the Melbourne to Newcastle movers with insurance. This means your interests are covered in the rare event of any loss or damage to your belongings. 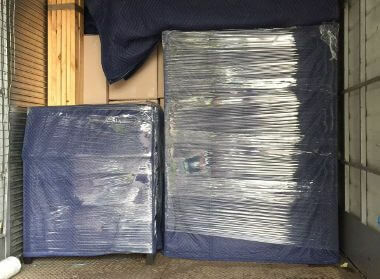 Packing by high-quality interstate removalists – While our personnel are careful while loading and unloading the shipment, the items still require proper protection during the moving process. We use very good-quality packing materials that provide good protection, ensuring your belongings aren’t damaged during the move. Our removalists will double check all the taping; make sure that fragile pieces are packed securely. They will also create a detailed list so they don’t lose track of any of your possessions. Every team consists of a professional furniture removalist and interstate removals personnel. 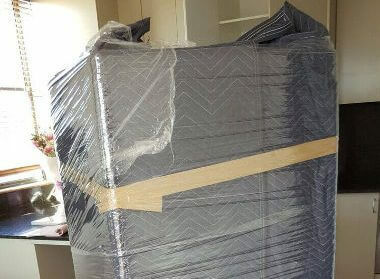 The furniture removals expert ensures that the larger pieces are disassembled, packed properly and moved carefully. All this furniture will be unpacked and assembled properly at the destination. 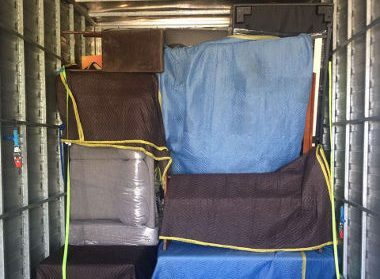 Cheap furniture removalist – If you need to move only a few pieces of furniture from Melbourne to Newcastle, we offer excellent removal solutions. Carrying large and unwieldy pieces through narrow hallways and doorways and up and down stairs requires considerable skill. 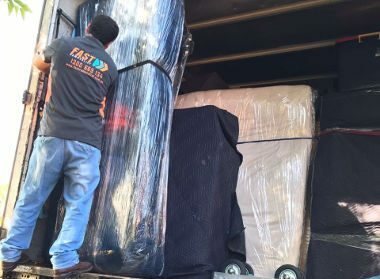 Our professional removalists Melbourne to Newcastle undergo regular training so they know how to haul, move and load all kinds of furniture safely. Inexperienced removal personnel can cause damage to the property or injure themselves while lifting heavy furniture. This can lead to additional trouble and expense for you. We offer safe removals Melbourne to Newcastle. Our technicians load everything efficiently & quickly with the help of equipment like trolleys, pulleys and ramps etc. This ensures all furniture pieces are transported properly. High-quality interstate backload company – This solution is built for customers looking for pocket-friendly moving services to transport just a few items. Rather than booking an entire moving truck, you have the option to book the amount of truck floor space you need. The moving truck space is shared with other clients on that same route, which helps save a lot of money for each person. Affordable interstate removalists – There are a number of flexible options to choose from. Our full-service solution includes packing, loading, and unloading as well as unpacking and reassembling furniture. This ensures you can be stress-free while our expert professionals handle every little aspect of the move. Our partial move option is very popular with clients looking to save some money on their move. This budget-friendly solution covers loading, transportation, and unloading. It helps you save on packing and unpacking which makes its very affordable option. Some customers are more comfortable with handling all the packing aspects themselves and a partial removal is a great option for them too. The team will pick up the shipment and ensure its transported safely to the destination. 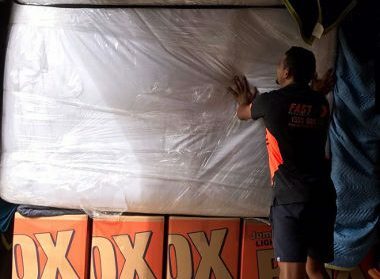 Commercial removals Melbourne to Newcastle – We are considered to be one of the most reliable and professional interstate removal companies in the region. Our team handles all types of commercial moves for offices, retail stores warehouses and more. They plan the entire removal process in a detailed manner to ensure the move is completed as quickly as possible. They’ll wrap pack and label everything from small items to large furniture efficiently so nothing sustains damage during the move. Small removals – Not every removal needs a full truck and a big team of professional removalists. Dorm rooms, Small offices or small apartments etc. only require small removal services and you can opt for these or cheap interstate backload moving services when you have fewer items to transport across state lines. We offer upfront pricing. You can get a tentative estimate via the removalist cost calculator and then call us for a more detailed quote. For more information that our experienced Melbourne to Newcastle removalists can provide, call Fast Removalists with your requirement today.